This month Camphill Country Market will be moving down to our warm and inviting Community Centre! Earlier this year our market team redesigned the space to make it even more spacious, and entertaining for our welcome guests. 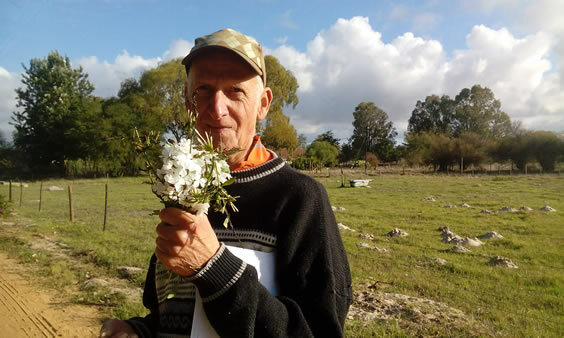 This month's talented musician will be Guy Collins playing us some blues and rhythmic rock as we fill our tummies with yummy goodness from our favourite Camphill stalls and vendors. 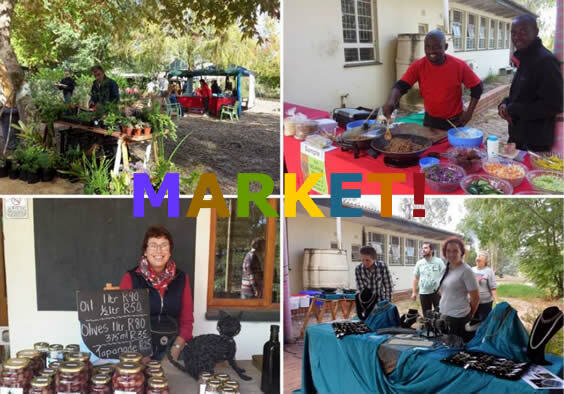 As always you can expect a wide variety of fun and treats for you and your family at Camphill Country Market. In honouring Ascension Day, all at Camphill climbed to the top of the hill across the road from Camphill Village. Some singing, some huffing and puffing and some being dragged up the hill. The weather was perfect with a clear view over the surroundings and a slightly covered Table Mountain made it a picture perfect day. What is Camphill without food? A lovely picnic lunch was prepared and taken to the top with those who could not walk up. All enjoyed lunch together overlooking the view from the top. 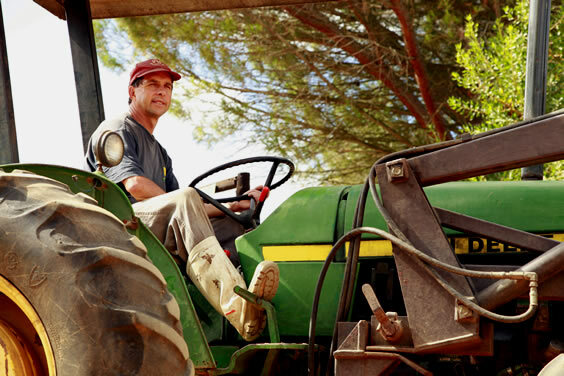 You know that Camphill’s products are delicious, natural and good for you, but do you know why? Our cosmetics workshop has been researching the properties of all the herbs and ingredients we use. Here we look at our fragrant and warming herbal tea. 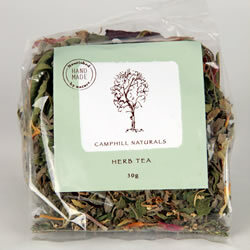 Camphill Herbal Tea is a tantalizing aromatic blend of herbs designed to both refresh and assist the body. It contains Rose Geranium, Stinging Nettle, Elderflower, Mint, Lemon verbena, Calendula flower, Lemon Grass and Rose Petals, with a whole host of health benefits, including boosting the immune system, relieving fatigue and generally increasing well-being. And it tastes good too! When I joined the bakery in 1986, Merlin Brokett was the work master. The team was John Niekerk, Victor van der Merwe, Diana Etherridge, Brian Steel, Michael Isaborn and myself. 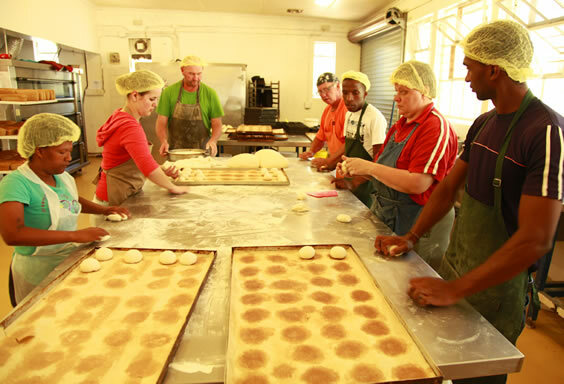 We produced Granola, Oats biscuits, Ginger biscuits, white buns, brown buns and plain bread. Merlin taught me everything before he left. Then Conrad joined in 1987 and stayed for 3 years. I taught him the ropes of the bakery. 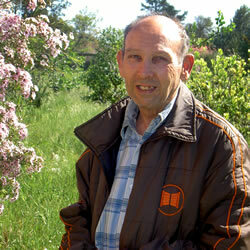 I stayed with him in Rooikrans. Just 3 months before he left, I took over the bakery. I did everything and all the baking. Julia Wilson came in 1991 and I taught her the ropes too. She stopped me from doing everything. She said now we are a team that can help each other. That was difficult for me, because I was used to doing everything. The rye ferment started in April 1991. When John Cook came in 1992, we made Raisin bread, plain bread, white buns, brown buns. Then the biscuit production stepped up, and we made puff pastry for all the houses. Christopher Dry took over in 1994. I also taught him the ropes. 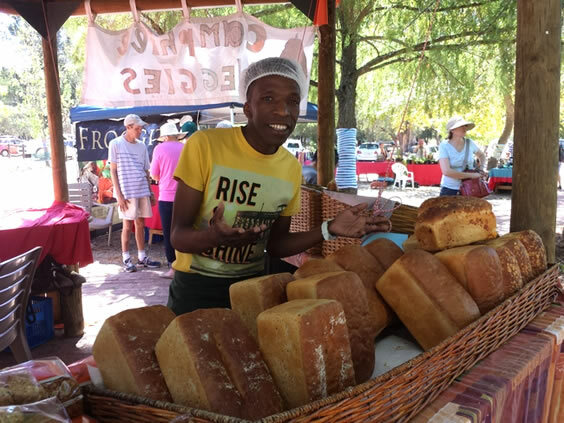 He decided to make Butter rusks instead of margarine rusks and also made the Rye rusks, which became very popular, together with the Honey rusks. The Granola is still on the go. 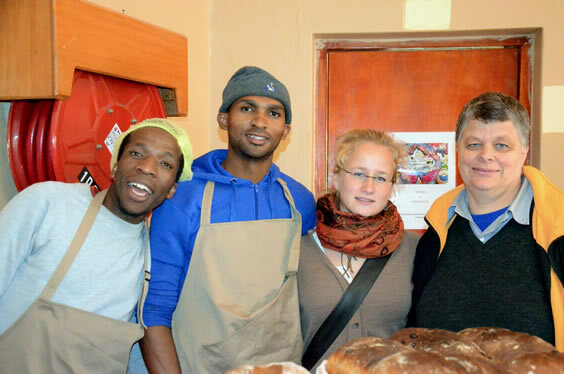 Over the years I taught several more young co-workers and co-workers the ropes at the Bakery: Daniel Brend, Carlo Janowski, Bjorn and Astrid, Hinja Hoffman and Hendrik Smith, Alan Joffin, Alistair Adams, they all made their contribution and left their mark, as did Henk Walters who would often bake through the night to keep up all the production. 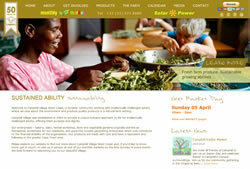 In May 2010 Marc Joubert joined us .The Bakery had a big change. Marc changed the flour to a better quality. He started the supper club. I learned a lot from Marc. He is the best and number one work master. Gerard took to him like a brother and always made him coffee. In December 2014 we retired Maria, now we are only three people left. Max has a lot of work in his hands. He is a great worker and always happy. Marc and Max are great workers. Because the germ and bran in the endosperm remain during processing, rye retains its many nutrients which include fiber, protein, potassium, calcium, iron, phosphorus, magnesium, manganese, vitamin B-1, folic acid, thiamin, niacin and antioxidants. These nutrients also help lower cholesterol along with the risk of cardiovascular disease, cancer and diabetes. One slice of rye bread contains 83 calories. 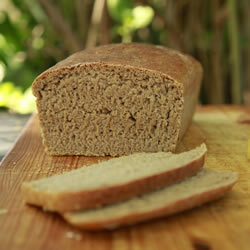 Rye bread is high in fiber, which improves your digestive health. Fiber, most of which is removed from processed grains, such as white bread, also contributes to lower cholesterol and less fat in the abdomen and around digestive organs. Rye’s high-fiber content contributes to satisfying hunger, making you less likely to reach for a second helping. The less processed rye grains maintain a more even level of blood sugar and insulin for more efficient fat-burning, lower blood pressure, reduced inflammation and a decreased risk of diabetes and cardiovascular disease. What a wonderful job you’ve been doing and you are still standing doing the best. Our world needs people or places such as you. Changing lives and make a living still out of that, it’s a stunning job. “A Hero is somebody that understands that responsibility comes with his freedom” and indeed you are one of these, with no doubts. I didn’t understand what life is about. All I knew was sadly me, basically doing and productive and so called “adapted”. From my outer look you couldn’t tell because I didn’t want the world to know, but inside me there were rainy days, apart from my hidden pain journey. I joined Camphill to make a change but it ended up being a change to change because I found people who knew me within, people with intellectual disabilities. That’s why for me “disability is not Inability”. Love comes to those who still hope, even though they’ve been disappointed, to those who still believe, even though they’ve been betrayed, to those who still love, even though they’ve been hurt and those who love they are loved in return I’m eager to say thank you all for the super wonderful work you doing: the more love and support you give, the richer your life becomes. Scientists can keep arguing but I am certain that miracles do happen, because I experience it every day: in the love and honesty of the residents, in the strength and commitment of all the house mothers and fathers, the hard work and patience of the house assistants; in the energy and innocence of the young volunteers; in the dedication of the enterprise leaders, medical and admin staff. I see it in the constant generosity of the families, friends and even strangers, who relentlessly support in various forms. Each donation, it does not matter how small and in what form, is really appreciated, shared and administered with care in the best interests of the entire community. Thank you to all. It is because of each one of you that this place, Camphill Village West Coast is a little piece of heaven. I enjoy going to the Self-Advocates Group at the Western Cape Forum. I have been learning a lot in this group. We are a big group that comes together and talks about Human Rights (be treated equally by the law, assistance in emergencies, education, be free and safe – not to be tortured or treated cruelly). We also discuss various other subjects. Sometimes our group divides into smaller groups of 3 or 4 people to discuss something for a short time, then we have a short tea-break before we come together again and share what each small group was talking about. I came to Camphill for my two weeks trial in 1971 and I stayed in Ferry House. The foundation of the Community Centre was just laid and we had to dig the trenches for the water pipes, between the Community Centre and Huis Ten Bos. At that time there was only one building at the work centre (today’s bakery). I only joined the village in 1974, after both my parents had passed away. I stayed in Grange and worked in the Poultry and the wood-workshop. We had chickens in Grange and one hen used to lay eggs under a bench in the lounge. When we closed that bench, the hen went to a resident’s room and laid her eggs in that bed. One year on April Fool’s day, they put a calf into Aquarius’ kitchen in the morning. In Grange, they tied all the doors closed in the passage; only one was open. Nobody could come out of their room. I’m retired now but I do gardening around the house, look after Aloe’s dog ‘Surprise’ and play chimes with Esme. I listen to my radio, my CDs and the old tapes. I have two art teachers in the week. I’m preparing for the Talent Show. I don’t have any big wish. I’m settled. Just when I get older I’ll need to move to a care house, but so far I still manage. 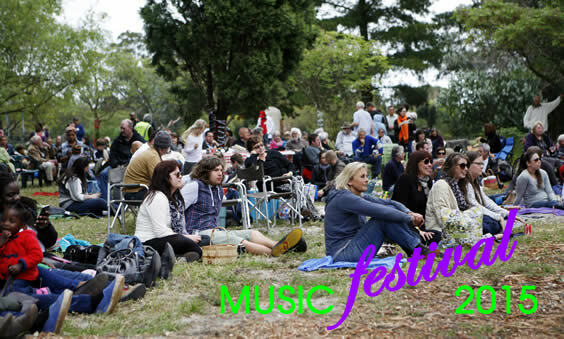 Following the great success of last year’s 50th anniversary music festival, we are planning another one for this year. 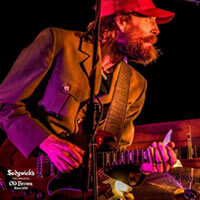 Save the date of Saturday 24th October and there will be more news shortly of the line-up of some very exciting bands. Watch this space! Our Camphill talent show will now take place on 20th June at our Community Centre Hall at 6pm. 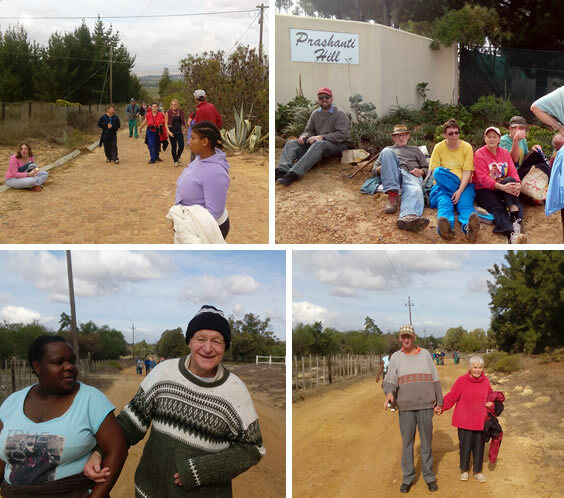 It should be bigger and better than last year with visitors from Camphill Hermanus and from Orion competing as well as our own residents. Hosted by our Young Co -Workers, it will be a spectacular evening, full of fun and laughter, amazement and awe - and some surprises guaranteed! It is a chance to reveal the talent inside you or admire that of your friends, be it drawing, dancing or simply devotion to music. It`s the taking part that counts! Besides the presentation on stage, we will have an art exhibition in the entrance hall, featuring drawings and paintings of Camphill residents. 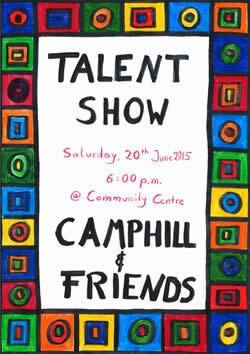 20th June (Saturday) - Camphill & Friends Talent Show will be happening. This year we are very excited to be including talented individuals from Camphill Hermanus and Orion organization. 24th of June (Wednesday) - St John’s Day. This feast day celebrates the birthday of John the Baptist and has great spiritual and personal significance to the community. We have a festival with a bonfire, symbolizing the burning of the old to make way for the new. 24th of October (Saturday) - Our second Annual Music Concert. If the success of our first one is anything to go by this one is going to be much bigger, showcasing amazing talented artists from around South Africa.